I am sorry for the employees, but I am not too surprised. I strolled through a few weeks back on a Saturday - the first time in decades i'd visited it - and it seemed to be very quiet. I had all but forgotten it existed as it is not a store I generally find myself walking past. It is a bit out of the centre of the more popular part of the shopping area I think. Very sad news. It used to be Allanson's - can't remember when it became Beattie's. Asked why was so quiet when in there (beatties) a few months ago - as always seems to have more staff than shoppers -and was told was one of the chains busiest for their version of click n collect so shop front was merely window dressing for that. Cost of maintainng shopfront with staff/rent etc must have gradually outweighed revenue from on line sales/in store collections at last. Will mean more work for local couriers then. I always thought the development of the Pyramids and the change of the bus system left Beatties out on a leg. The Beatties website used to have a section on its History, I notice the House of Fraser one doesn't, if a company isn't proud of History and heritage it doesn't help. My only real memory of Beatties is walking through with my young son who brushed past a pillar on which was one of those decorative clocks done up to look like the sun with 'rays' of shiny gold metal sticking out from the sides. Brushing past, he caught the 'ray' sticking out and the clock fell to the ground with a crash, breaking the glass. A formidable lady with glasses on a chain (always a bad sign in my experience) bore down on us tutting and said "Why can't people look where they're going?" I responded by asking what sort of fool puts such a thing low down where it could be caught by any passerby and she subsided. I suspect the fool who put it there was her! If I recall correctly we had gone there with the intention of buying a washing machine, but on finding it significantly more than at John Lewis were en route to get a train to Liverpool. 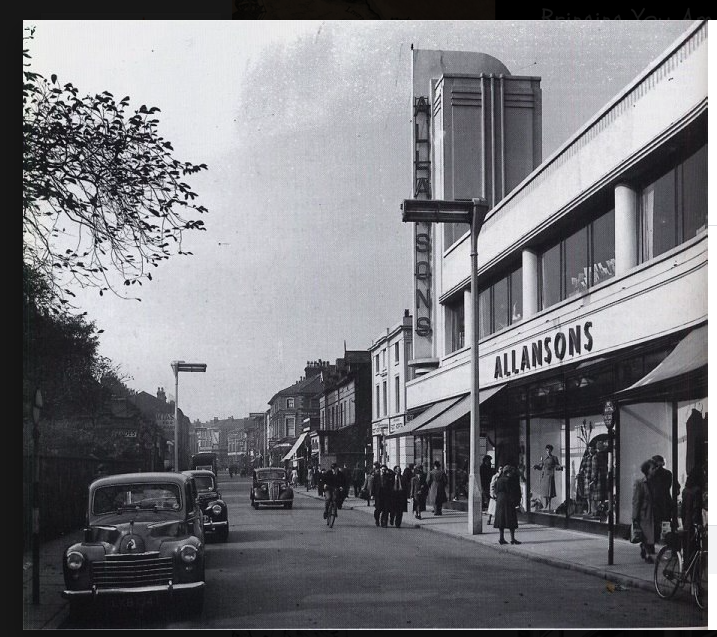 I seem to remember a very old-fashioned department store at the other end of Grange road, just before you get to Macdonalds, but can't recall its name. It looked in the 60s or 70's - just before it closed - much as I imagine it did in the '30s. It had a rather nice oak staircase to the upper floor. You are right. My wife remembered it about half an hour ago! I don't know what it is now. Can remember Robbs..Great big staircase at back of shop with a shoe department behind it. Remember as a kid having to walk up and down in a new pair of shoes for mum and dad to see if they fitted properly and the angled mirrors made it look like you could fall down a slope. Did it have a cafe?? I remember too m & s and index was in liscard years ago , but as with all northern scally mini shopping centres, theyve gone down hill over the years. Gregs costa betting shops wspoons macs etc etc etc. We all buy off the net ,were all part of its decline. As soon as i retire im off from wirral . Not long now. Where will your Xanadu be svenlock? This has to be the most failed strategy of WBC..
Birkenhead Town Centre 2020 Vision...... envisaged in 2001 ! Read for yourselves and see how many 'groups'( committees, budgets, plans, ) are no longer in existence. with the group, and Councillor Phil Davies took on the role as spokesperson for the 2020 Vision Project. 1. Poorly maintained and presented public realm. 2. Lack of quality shops, especially non-food/departmental stores. 3. Feeling that the town centre is not safe, especially at night. 4. People problems – rowdyism. 5. Poor public transport services. 7. Lack of identity to the town centre. 8. Poor range of leisure attractions and nightlife. Has anything changed ? What a joke ! Last edited by granny; 19th Jun 2018 12:23am. @granny You have forgotten to mention the numerous council officials that have been paid off with gagging agreements at our expense. I am pleased to see that this might have come back and bitten them, some officials they paid off and gagged who should have been sacked were giving good references for future jobs and they moved on and did the same/similar things in other councils. Councils being public bodies should not be allowed to create gagging orders for wrong doings! Yes, quite right.. One in particular stands out in my mind... Now CEO of NWBLT !